Hey everyone! I’m Jules and I help the balance team leverage data to make smart changes to the game. I wanted to offer some insight into how we evaluate champion balance and discuss the nuances of power, win rate, play rate, and ban rate. Getting started: our primary goal is to empower you to succeed with any champion. When you’re picking a champion, ideally, that decision is agnostic of power. Situationally, some champions will always be stronger than others due to team compositions, synergies, and counterpicks - all of these are an integral part of League of Legends. All else equal, our philosophy is you shouldn’t feel compelled to pick a champion because it’s OP. Power is the degree to which a champion is capable of winning. 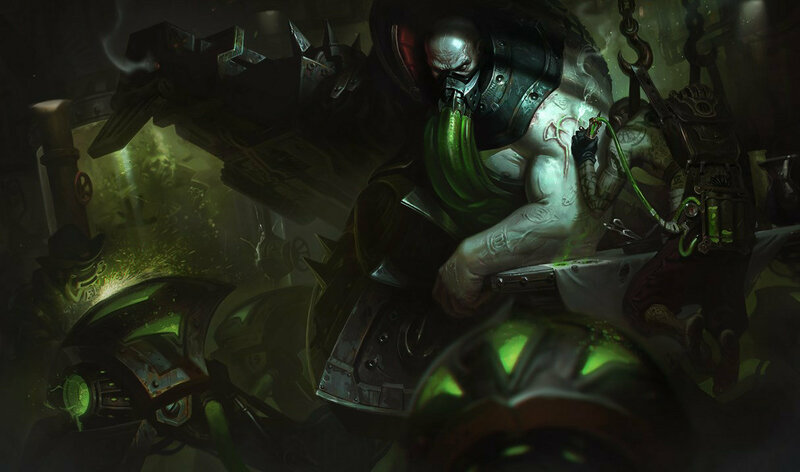 Champions might specialize in late game scaling or teamfights or pentakills or objective control, but those are simply tools to achieve the primary objective: destroying the enemy Nexus. Power is not constant. In a given game, it is a function of the champions being played and the skill of the players with those champions. Kog’Maw isn’t powerful in every situation, but he’s incredibly powerful with the correct team composition in the hands of skilled players. Just as one could use KDA to measure a champion’s ability to score kills and avoid death, we leverage win rate as one way to measure a champion’s ability to win, or power. If a champion’s power is analogous to true accuracy, a champion’s win rate is akin to empirical accuracy. Win rate is the probability of winning given the current ecosystem of champions and players. It tells us something about the power of the champion (powerful champions are more likely to win), but it also tells us something about the skill of the player (skilled players are more likely to win). More powerful champions tend to have higher win rates, but win rate is an imperfect measure of power because it’s conflated with player skill. We can validate this by observing that a champion’s win rate tends to drop during the free-to-play rotation, due to an influx of inexperienced players. One implication of this is that champions can be balanced above or below 50% win rate. According to our data, only a fraction of Azir players are highly skilled with him, so we expect his win rate to be sub-50% in a balanced state. Conversely, a large proportion of players playing Heimerdinger are die-hard mains, so we expect his win rate to be above 50%. We take into account the impact of changes at all levels of play, but that doesn’t mean we pretend all players fit one mold. Skilled players make decisions with greater information and execute on those decisions with greater precision. We’re comfortable saying that we look closely at these players to best understand the metagame and balance of League of Legends. We believe balancing around a skillfully - but not perfectly - played game creates the best competitive experience for everyone. It also encourages mastery. Sure, Twisted Fate is challenging to play, but as we better learn his kit, we realize what he’s capable of and start pulling off crazy plays. It feels good and makes the investment well worth it. Play rate is the likelihood a champion is picked in an individual game. If players were robots that optimized only on winning, play rate would be highly indicative of power. In reality, players care about winning, but they also care about having fun and playing what appeals to them. 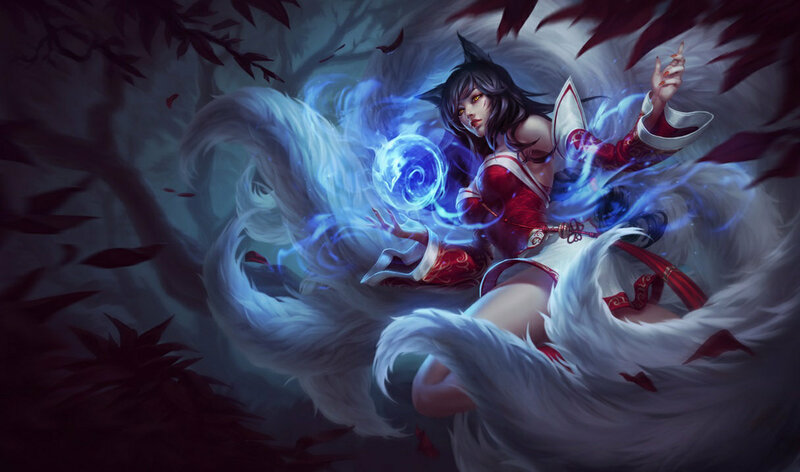 Ahri is more appealing than Urgot for most players, so we expect Ahri to be more popular than Urgot. Play rate trends can teach us something about power, but the signal is blurry. We also care about champion variety (e.g. not seeing Jinx every game), but one of our tenets is to avoid sacrificing balance just to promote variety. In other words, we won’t nerf champions just because they’re popular and we won’t buff champions just because they’re unpopular. Listening is another way we evaluate balance. When everyone is complaining about Nidalee, we don’t act rashly, but we do refocus our attention. While it doesn’t replace reading the boards or communicating directly, ban rate does complement anecdotal evidence with a more objective lens. One caveat of ban rate is that it is highly influenced by play rate. Even if Rumble is strong, he’s probably not worth a ban if the opposing team is unlikely to pick him. As a rule of thumb, optimal ban strategy (i.e. the strategy that maximizes your probability of winning) is to ban champions that are both high win rate and high play rate. In reality, ban rate is not only a function of win rate and play rate, but also of perception of power, transparency of power, frustration, and risk-aversion. A few months ago when LeBlanc held the title of most banned, she was a suboptimal ban outside of Master/Challenger. Janna, statistically one of the best bans in the game, was banned in less than 1% of games. With that understanding, we keep a close eye on ban rates but don’t let them single-handedly drive balance decisions. Data matters, but it’s only one part of the equation. Believe it or not, we play League of Legends too. We feel it just as quickly as you when Skarner is in every game and, more importantly, winning every game. We want a fun and balanced game not just because it’s our job but because we’re players. We acknowledge we’re human and susceptible to a plethora of cognitive biases. That’s exactly why we leverage information from all angles. Ultimately, everything we do is an effort to make League of Legends the most fun it can be. In the next dev blog, Jag will discuss how we examine champion balance from a design perspective.